Would you believe it, the little area coloured red on the brain diagram above labelled Amygdala is responsible for your anxieties, panic attacks and your excessive worries, it’s all the result of the tricky nature of that little but very significant organ in our brain. I know better now but back then it would have made sense. Mind you it probably would not have come to that as I never told anyone, not even doctors, about the things I experienced, except for those physically obvious things which seemed potentially life threatening to me. The internal fears and embarrassment I kept to myself. Many people suffer in silence, as I did, whilst others watch on. I remember watching Lily sitting in the pub next to her husband, as she sat quietly tearing tissues into tiny strips, no one knew why, no one asked why, she was just considered a bit odd. To me Anxiety is not a mental illness, it is a learned way of toxic thinking. For some anxiety problems, such as PTSD, the learning is almost instant, that again is the amygdala’s ability to over-react in order to help protect you. It doesn’t make sense when you think about it logically but the main function of that part of your brain is to protect you from harm. A powerful alarm system is set up rapidly to help stop you repeating the actions that threatened your safety. This all makes sense when you realise that over the years friends and relations have been developed ways to protect the person from their fears making them feel very protected and loved. Testimonial from a client with a personal anxiety. From only one experience this memory is now available to the amygdala as a comparison by which to judge similar dangers. 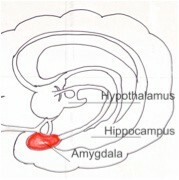 Because the amygdala works very quickly to protect us it is not always very good at matching like for like. It may see a big friendly dog as a dog that is going to bite! One great thing that has occurred over the last few years of brain research is the understanding of the ability that our brain has to learn and reorganise itself, even as we get older, what the specialists call Brain Plasticity. In his book about OCD, “Brain Lock,” Jeffrey M. Schwartz, M.D., describes the changes that can be seen on brain scans as OCD clients are taught new thinking patterns. The brain scans show that as new skills are learned different areas of the brain are active, showing that subjects are thinking in a different way. The new thinking skills helped the group studied to reduce the overwhelming effects of their OCD. 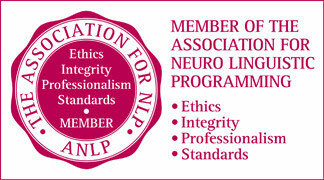 This new one day programme uses all the aspects that I have learned through my personal experience of anxiety, my knowledge of Neuro Linguistic Programming, trance work and my work with one to one clients over several years. In this one day workshop you will learn practically the same information as my one to one clients pay over £300 for. The cost is only £25 for the day.  Simple relaxation patterns to help you through anxious moments.  A breathing technique that can be the key to relaxation.  How a change of focus can get you back on track.  The key to being able to shift states of mind and body.  What an anchor is to past experiences and how it affects you now.  Ways to create anchors to new or better of feeling to change your outlook.  Up to date understanding of the psychology of anxiety.  Diet tips and help.  Exercise tips and help.  The role of the subconscious part of our mind.  Proof once and for all that anxiety or panic attacks won’t kill you.  A series of exercise to help reduce stress that undermines control.  How to switch that internal self talk from negative to positive. · Foundation – an introduction - the structure that is common to all anxieties and stress and how our brains work. · Emotions – changing mental states, the Relaxation Response and Mindfulness. Each stage will be weaved in and out of deep relaxation processes to help you absorb all that you learn more easily. It is recognised by Accelarated Learning expert Alan Rose that learning in what he calls the Alpha State, a relaxed state where the brain is more receptive, helps to create long lasting understanding. The better we can build the future in our minds and release the blocks from the past the more we achieve. You may feel that to be a challenge, good, because my aim is to help you through that challenge as much as I can so you begin to lead a happier life. Teas and coffee will be provided but not lunch. A refund will be granted to those people who feel the course is not for them. All that you need to do is have a quiet word before the afternoon session and an immediate refund will be given. No questions asked. There you go what have you got to lose? If you struggle with getting out and about and would like to come with a friend then please just let Ian know and arrangements can be made at no extra charge. To sign up call 01535 692207 and speak to Ian.